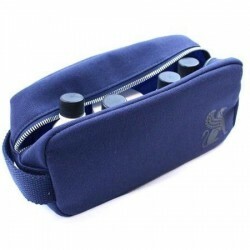 This handy navy blue canvas dopp kit bag has all your favourite Baxter of California shaving products and skincare essentials in handy travel sizes. Contains 60 ml versions of the Daily Face Wash, Oil Free Moisturiser, Daily Protein Shampoo, After Shave Balm and the Super Close Shave Formula Shaving Cream. The perfect bag for all your Baxter products - a excellent gift for the traveller in your family or why not treat yourself - we know you want too!! 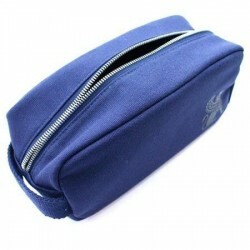 Bag measures 220mm long by 100mm high and 85mm wide.